Printing on apparel can get tricky and expensive, especially when apparel like t-shirts are in high demand and need to be mass produced. Having the right machinery can make or break the business in terms of production and even profits. Having any type of heat press machine, like a manual heat transfer press or a sublimation press, can be enormously beneficial to a business that is selling apparel. In fact, here are three reasons that every apparel business should have a heat press machine. 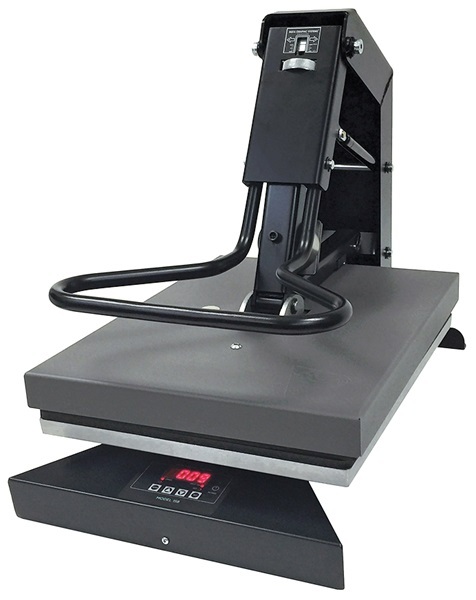 Heat press machines can be extremely cost-effective. The initial purchase of the heat press machine is relatively inexpensive, which means that there is certainly a lot of room for he machine to pay for itself very quickly, and then some. For either small or large orders, heat press machines can save a lot of money in production. Some people may be slightly intimidated to purchase their heat press because they have never used one before. To cast your worries away, heat press machines are actually very easy to use, even for someone who has never seen one before. Learning to use any type of heat press machine can be done very quickly. There are so many different things that you can do with a heat press. Whether you are using a manual heat transfer press or a specialty press, there are unlimited possibilities on the types of materials that you can print on. According to Ebay, these machines can "print on different fabrics such as cotton and satin, on hard materials such as ceramics, and on synthetic materials like spandex." This versatility allows businesses to accept orders of all kinds. If you have a graphic design business, you should seriously consider investing in a heat press machine. They will save you time and money. You can learn how to use it quickly, and you will be able to print on virtually anything! Why wouldn't you get a heat press?